This Microsoft Azure certification training will establish you as an expert Azure Solutions Architect and help you ace the AZ-300: Azure Architect Technologies Exam. You will learn to deploy and configure infrastructure, implement workloads and security, create and deploy apps, and develop for the cloud and Azure storage. The Microsoft Azure Architect Technologies (Exam AZ-300) online training course will prepare you for a career as a certified Azure Cloud Solutions Architect. The Azure training course covers the advanced activities for working with the Azure platform, including managing Azure resources, configuring and deploying virtual machines and networks, and mastering Azure Cognitive Services solutions. You will also learn how to manage security and identity within Azure, identify data storage options, design a hybrid cloud/on-premise connectivity scenario, measure throughput and structure of data access, create web applications using PaaS, and develop Azure Cognitive services solutions. Please note that Exam AZ-300: Azure Architect Technologies training will be available as a live virtual classroom. How much does the AZ-300: Azure Architect Technologies Exam cost? The cost of the AZ-300: Azure Architect Technologies Exam is $165.00 USD plus tax or INR 4800 plus tax. This fee is paid to Microsoft when you register for your exam. What is the difference between Exam AZ-300: Microsoft Azure Architect Technologies and Exam AZ-301: Microsoft Azure Architect Design? The new Microsoft Certified Architect certifications have in-depth coverage of the fundamentals of Azure compared to the previous certification and are more role-oriented and industry-specific. Microsoft Azure Architect Technologies measures your ability to deploy and configure infrastructure, implement workloads and security, create and deploy apps, implement authentication and secure data, and develop for the cloud and Azure storage. Microsoft Azure Architect Design measures your ability to determine workload requirements, design for identity and security, design data platform solutions, design business continuity strategy, design for deployment, migration, and integration, and design an infrastructure strategy. AZ-300 Exam is more on implementation and management and not architecting and designing whereas AZ-301 Exam, focuses on designing and architecting Azure solutions. What is the duration of the Exam AZ-300: Microsoft Azure Architect Technologies? The exam consists of 40-60 multiple choice questions and is 150 minutes long. Are there negative markings for Exam AZ-300: Microsoft Azure Architect Technologies? No, there are no negative markings for the wrong answers. What is the passing score of Exam AZ-300: Microsoft Azure Architect Technologies? The passing score for Exam AZ-300: Microsoft Azure Architect Technologies Exam is 700 points out of 1000. Microsoft has a scaled scoring system, which means that the number of answers a candidate will have to answer correctly depends on the complexity of the test and the expected skill of the audience. How long does it take to get the Microsoft Azure Certification Exam results? Is the Exam AZ-300: Microsoft Azure Architect Technologies Exam fee included in the course fee? 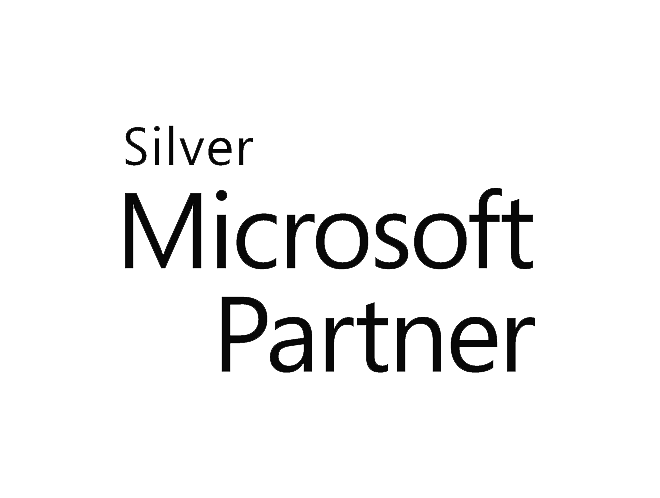 Yes, Simplilearn is a Silver Microsoft Partner, and this course is accredited by Microsoft. How can I pass the Exam AZ-300: Microsoft Azure Architect Technologies in my first attempt? Simplilearn’s training course is designed to give you all of the skill sets necessary to successfully complete the required projects and help you pass the Exam AZ-300: Microsoft Azure Architect Technologies on your first attempt. Please note that this course does not guarantee you will pass the exam on your first attempt, but you will be armed with all of the knowledge to do so. How should I prepare for Exam AZ-300: Microsoft Azure Architect Technologies? Simplilearn’s Microsoft Azure Certification training is aligned with the requirements of the exam. As such, our experienced trainers will help you learn to use the Azure platform and prepare for the certification exam. The successful completion of Simplilearn’s Azure Certification Training course will allow you to pass the Microsoft Azure certification exam and get certified. In what languages is the Exam AZ-300: Microsoft Azure Architect Technologies available? The Azure exams can be taken in a variety of languages. The exams are available in English, Spanish, Chinese (Simplified), Chinese (Traditional), French, German, Japanese, Portuguese (Brazil), and Russian. Non-native English speakers who take the exam in English can appeal for additional time. Where can I apply to take Exam AZ-300: Microsoft Azure Architect Technologies? You can download the application for the Azure certification exam here. What is required to earn the Microsoft Azure Solutions Architect certification? Does Microsoft Certified Expert: Azure Solutions Architect replace any existing Azure exams? Yes, this Azure Solutions Architect certification is the replacement for Exam 70-535. You can earn this certification by passing exams AZ-300 and AZ-301. This curriculum prepares you for Exam AZ-300: Microsoft Azure Architect Technologies. Yes, our Help and Support team can provide you with assistance for the exam application process. Contact us using the form on the right of any page on Simplilearn website, or select the Live Chatbot. Our customer service representatives can provide you with more details. How do I order books and study materials? When you take Simplilearn’s Microsoft Azure Solutions Architect certification training, you won’t need additional study materials. Everything you need to pass the certification exam will be provided in the course. What is an Azure Architect? A Microsoft Azure Solutions Architect is a verified expert at architecting and managing all aspects of Azure infrastructure and solutions and is responsible for planning solutions to meet the business needs of an organization. Microsoft Azure is a set of cloud services designed to help any organization address day-to-day business challenges. Azure allows you to build, manage, and deploy applications on a large, worldwide network using Azure tools and frameworks. How much does a cloud architect make? A cloud architect in the U.S earns an average annual salary of $155,581. Salaries currently range between $122,500 - $175,000 (source: Zip Recruiter). Who are the trainers for this training program? Our Trainers are Microsoft certified (MCTs) and highly qualified with over 15 years of experience in training and are working in the domain. How do I get access to the Azure Platform? Our teaching assistants are here to help you get certified in your first attempt. They are a dedicated team of subject matter experts to help you at every step and enrich your learning experience from class onboarding to project mentoring and job assistance. They engage with the students proactively to ensure the course path is followed. Teaching Assistance is available during business hours. How do I register for this online training course by Simplilearn? We provide recordings of each session for future reference.